You already know the importance of disaster recovery. What you might not be aware of is how the cloud can deliver DR services much better, faster, and more reliably than any other solution. Here are all the ways managed cloud services make your disaster recovery plans better. In most cases, managed cloud services means your applications and related data are stored on the servers of the cloud service provider. Even if your business takes a direct hit from a tornado or is sitting on ground zero of an earthquake, your systems stay up and accessible to your users and customers. Offsite backups are likely not kept very far from your primary systems. That means any disaster that befalls your primary systems is likely to knock out your offsite backups, as well, or at least render them inaccessible for some time. Consider the recent flooding in Louisiana. If those businesses have backups ten miles away, the backups could still be underwater or inaccessible. Cloud vendors are geographically separated from your business, meaning any localized or regional disaster won’t touch your cloud backups. If you were a hacker, when would you target a business? 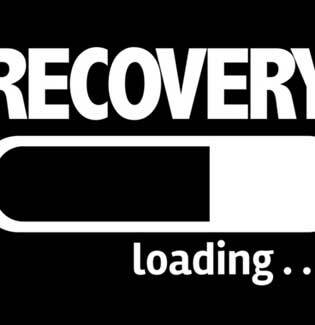 Disaster recovery is a vulnerable time, when IT is not focused on monitoring systems and the network for suspicious activity, but is wholly focused on recovery. With a cloud service, your team can focus on recovery, while the cloud service keeps up with security, and your systems are no more vulnerable during an emergency. Similarly, it’s easy for data to be handled in a less than ideal way during a frantic recovery process. This can lead to stepping out of compliance. When you opt for managed cloud services, the data is stored and managed in 100 percent compliance, where it can be accessed by users and customers and never placed in precarious positions. What if a significant natural disaster or fire wipes out your facilities completely? With cloud-based managed services, you can simply set up shop elsewhere and continue productive operations. Even with the best backups and a prepared disaster recovery site, this could take days or weeks. With cloud services, it can take mere hours. Managed cloud services have many other business benefits outside disaster recovery. You can learn more about those benefits when you download our whitepaper: Managed IT Services For Small Businesses.